So I was lucky enough to recently win six Essie nail polishes via BeautyHeaven's Instagram competition (Thank you! :D). And I couldn't wait to try the colours! 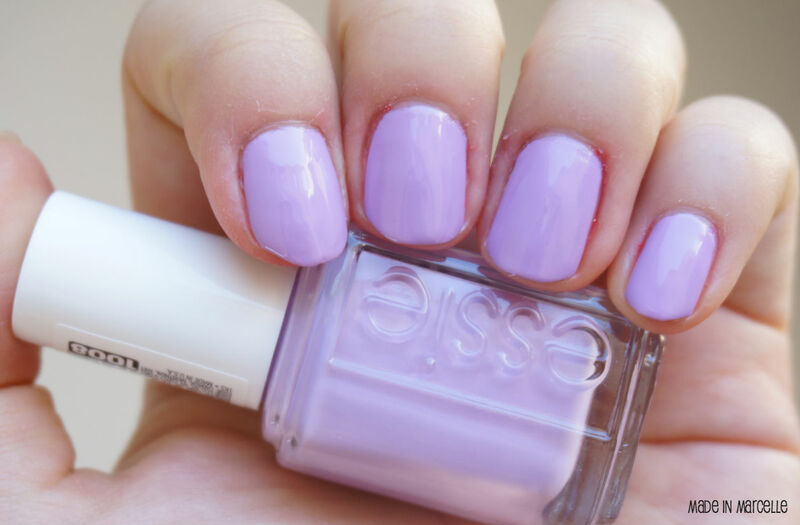 The polishes are from the Essie Madison Ave-Hue Spring 2013 Collection except for Come here! which is from their Resort 2013 Collection. The prize includes six different shades: Come here!, Bond with whomever, Maximillan Strasse-her, Avenue maintain, Madison ave-hue, and Go Ginza. From top left clockwise: Come here!, Maximillian Strausse-her, Go Ginza, Madison ave-hue, Avenue maintain, and Bond with whomever. 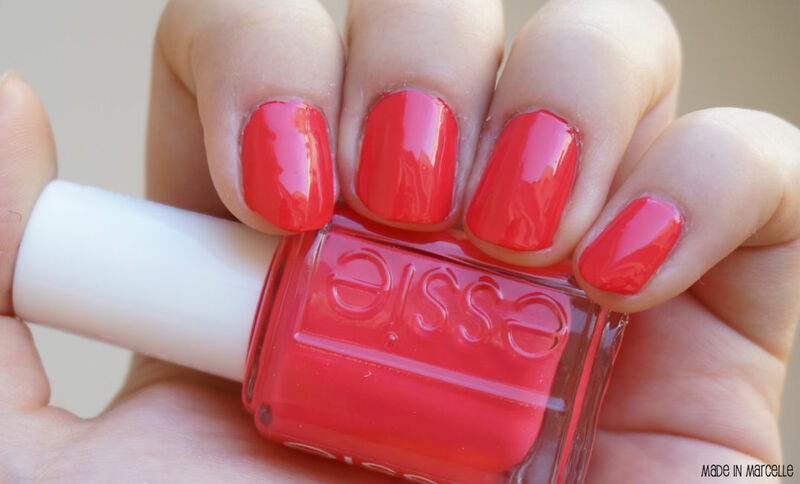 This one's from the Essie Resort 2013 Collection and is a coral red cream. A cool grey green that I would personally avoid wearing just because it tends to dull down my hand colour. The next two shades are very similar, but this one is a much cooler tone of pale blossom pink. This one's my favourite of the six! Comparing this one to Go Ginza, it is a deeper lilac colour, which gives my hands a warmer look. I would wear this one in cooler seasons and Go Ginza during summer. 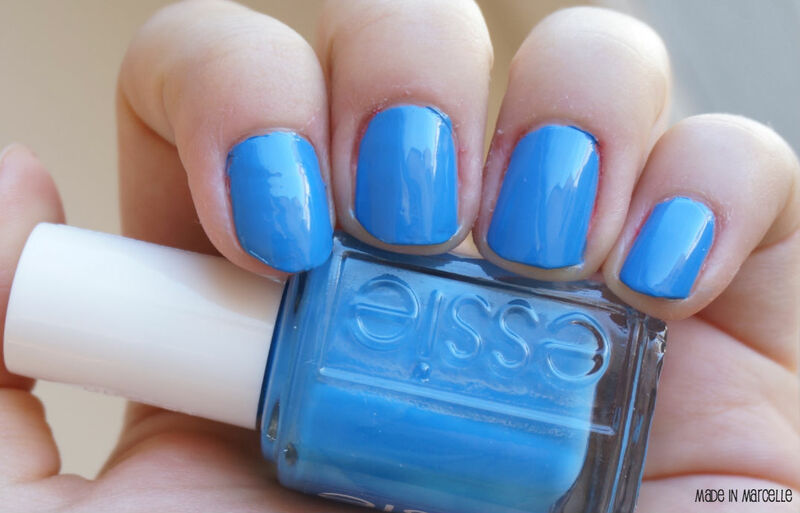 Described as "a lovely parisian blue" and I ain't arguing with that! It's a deep ocean colour that applied to a cream finish. 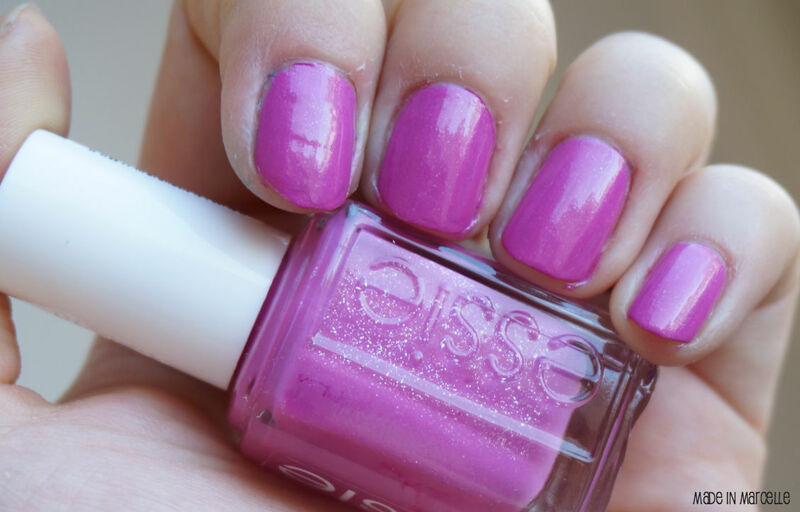 An "upper east side pink" which is the only shade with silver glitters in them. This one's more leaning towards plum purple than pink and is gorgeous by itself because of the shimmer. Once again, thank you to BeautyHeaven and congratulations to all the other winners as well! These shades are utterly gorgeous...I'm especially loving Madison ave-hue and Bond with whoever! 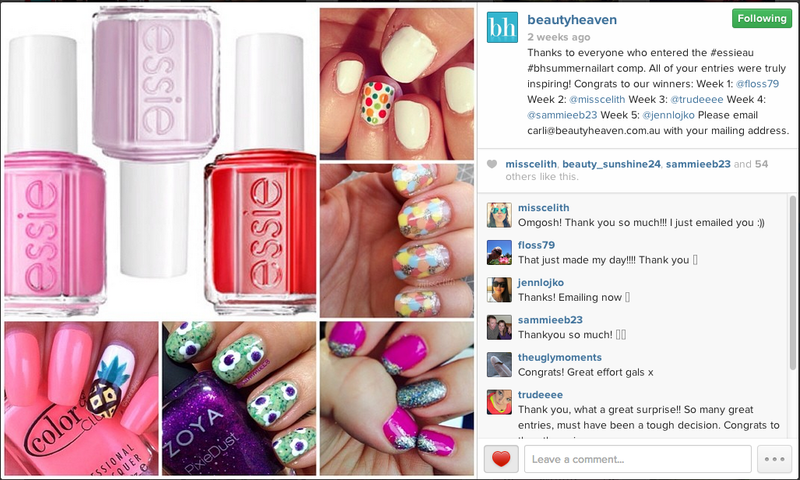 Congrats on winning all these pretty nail polishes! I would have to say that Go Ginza is my favourite out of the bunch too. Thanks! :) I know, it's just the perfect blossom pink.